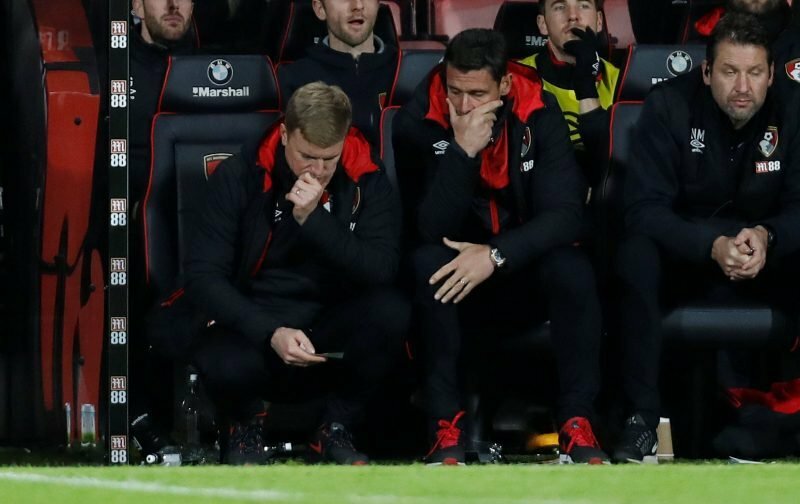 VAR would help Bournemouth claims Howe, is he right? AFC Bournemouth have been on the receiving end of some rather dubious refereeing decisions this season. The latest was Liverpool’s opening goal at Anfield on Saturday, with the striker half a yard offside, which the linesman failed to spot. With the Premier League leaders going on to convincingly win the game 3-0 and the Cherries falling to their eighth consecutive away defeat, the clubs worst run of away form for over 30 years, there were not many talking points to take from Merseyside. But Howe, who knows he cannot directly criticise the officials without receiving a warning from the Football Association, has used this opportunity to highlight that the introduction of the Video Assistant Referee (VAR) from next season would help AFC Bournemouth in this scenario next season. VAR, however, is hugely controversial, it’s loved by officials and many within the game seeking perfection in refereeing. It’s loved by those in media, as any reason to keep them talking on screen is good. But it’s loathed by many football fans that attend regularly. A football match is not a film. The story it tells is the story of that match. VAR is the unwanted editor who takes out all the nastiness and hoopla so what we get is the PG version. .
We MUST resist it's rise backed as it is by the greedy intrusive TV companies. “That first goal in a huge moment in the match, we set up to frustrate them and the restrict the space. “That worked well in the opening period, we hung in there but the second phase from a set play – half a yard offside – was a huge turning point. “Personally I haven’t seen it but my coaching staff tell me it’s offside. VAR will help us in those situations, I think that will benefit everybody, it was tight but offside was the right decision. The second goal is self-inflicted from our side as the defending team, but we felt we’d done OK and restricted them in general play. “But the players did well to keep fighting, keep their heads. Maybe instead of building a new ground, they should just put it on at local cinemas since we’re all going to turn up and effectively watch it on the telly. This is about the only area of football that I agree with Danny Baker on – cameras and TV should be there to observe the live event that is taking place they should not be part of it. This relentless pursuit of ‘correctness’ is both destructive and futile because it is a goal that can never be achieved. I’m sure we’ll all love it when we get to watch a 50/50 decision from 15 angles only for it to still go against us – not to mention the bias that will inevitably occur in favour of home teams with large grounds because one bloke has to make a decision whilst keeping 70,000 people waiting – the vast majority of which he knows will go mad if he gives it against them. And people are expecting less bias under these circumstances? Can’t see it. – Join the conversation, click here.